Go boats are small, self driven motor boats that seat up to eight people that you can hire for one hour or more. There is a table in the centre of the boat for your gourmet picnic (or cheesymite scrolls if you roll like us). It's generally a very calm journey but be mindful that you'll sometimes catch enough wake from other boats that you may need to hold your wine glass. 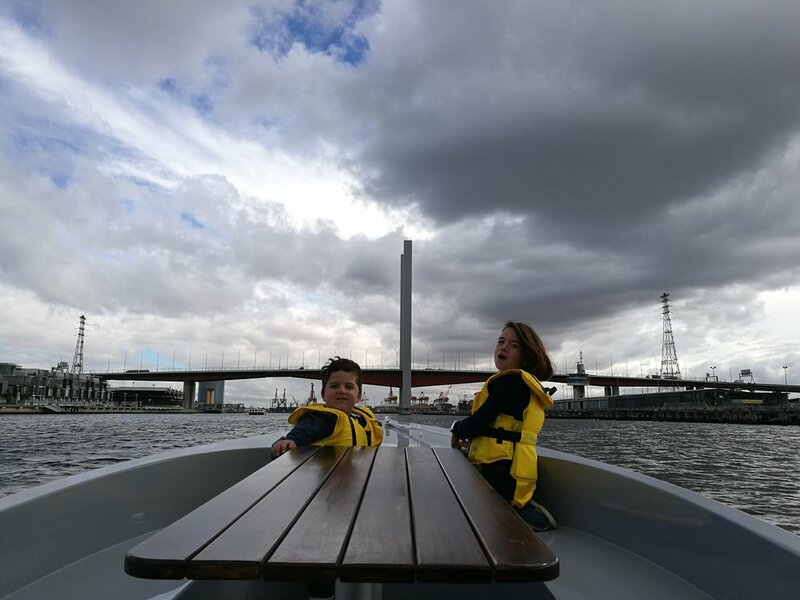 Kids are very welcome on Go Boats and life jackets come in all children's sizes. Life jackets must be worn by children, adult life jackets are provided but not mandatory. We took the two hour trip which allows enough time to get all the way to Flinders St Station and back again. Accessibility is very good, you can wheel all the way to the boat and smaller wheelchairs can even be lifted on and parked onboard. Boats can be hired from 11am to sunset daily. One hour boat hire starts at $109. We really enjoyed this, it was a very cool way to see the city!